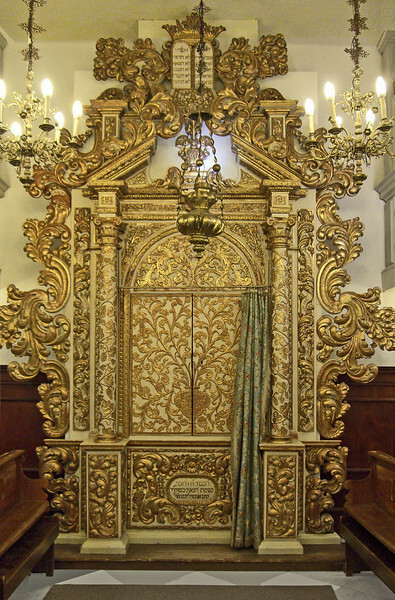 57-The Torah Ark (1652) is older than the Conegliano Synagogue (1701). Parts of the Ark are even older. Below the doors is a dedication to Rabbi Nathan Ottlengo who headed Conegliano Yeshiva until his death in 1615.